This post goes out to all readers in Virginia…. and to those who have relatives and friends in Virginia. This amendment directs DCR to make recommendations as to the potential suitability of Brandy Station and Cedar Mountain Battlefield as potential recreational areas or state or regional parks and report its findings to the House Appropriations and Senate Finance Committees by October 1, 2019. These are “budget neutral” amendments that would direct the state Department of Conservation and Recreation to review options to create a park comprising of the Brandy Station and Cedar Mountain battlefields. In short, this would prompt a study which gets the proverbial foot in the door towards the creation of a battlefield park. And that’s something you’ve heard me campaign towards for some time. The American Battlefields Trust has made it easy for Virginians to reach their representatives to express thoughts about these amendments, as well as a few others related to preservation efforts in our state. 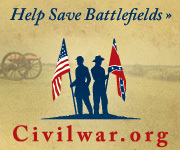 As the Trust says, a couple of phone calls of support could go a long way – both to getting to our goal of a battlefield park, for those two important battlefield, and for funding other state preservation projects. Battery A: No return. Captain Lionel F. Booth commanded. This battery was, as mentioned, posted to Corinth. Battery B: A return posted in January 1864 has this battery at Corinth with two 20-pdr Parrott rifles and two 8-inch siege howitzers. Captain John H. Baker commanded. Battery C: No return. Also serving at Corinth. Captain William T. Smith commanded. 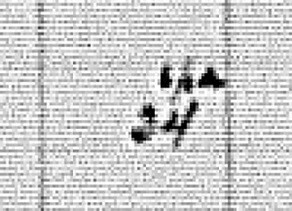 Battery D: Another January 1864 return confirms this battery at Corinth but with two 6-pdr field guns and two tallies under the 12-pdr Whitworth column. We will analyze this entry below, so hold your horses. Captain Delos Carson commanded. First order of business, as the 1st Alabama Siege Artillery continued to fill out, Booth was promoted to Major in January, commanding what was a battalion. At around that same time, Federal high command decided the garrison at Corinth was no longer needed. Concurrent with the start of Sherman’s Meridian Campaign, Corinth was abandoned. Some of the troops were used in Sherman’s campaign. But the 1st Alabama was sent to Memphis, then later, in March, upriver to Fort Pillow. Around that time, the regiment was re-designated the 6th US Colored Heavy Artillery. That being a duplicate the re-designated 2nd Mississippi Heavy Artillery (AD), the regiment was then given the designation of 7th US Colored Heavy Artillery. But before that new designation could be officially applied, Confederate Major-General Nathan B. Forrest attacked Fort Pillow. The 6th Heavy, formerly the 1st Alabama Siege, though technically supposed to be the 7th Heavy, bore the brunt of what became a massacre. Much later, in 1865, the regiment was again re-designated as the 11th US Colored Troops infantry. So four designations in three years. And such has caused confusion at times among historians, despite the regiment’s connection with a well known, infamous battle. But in December 1863, that was all in the future… and these are part of the story we’ll pick up in the next quarter’s summary. 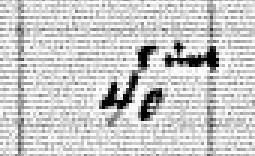 I read this as a “2” with the super-script of “E.R.” And I translate that to mean “English Rifle.” To me, the entire column, header and all, is suspect. Yes, it reads clearly, “12-pdr Whitworth, 3.5-inch bore.” But that’s sort of a self-contradictory designation. There were 12-pdr Whitworths. But that term generally referred to 2.75-inch caliber weapons. Those being hexagonal bores, one might go with the widest measure of the barrel. Still that is not 3.5-inches. To my knowledge, there were no Whitworths used in the American Civil War that could be cited with a 3.5-inch bore (leaving aside any possible weapons not imported, etc.). On the other hand, there were many cannon with 3.5-inch bores imported from England that didn’t have the Whitworth name. Blakelys are most often mentioned, but such might apply to some weapons actually using that inventor’s patents, while others clearly did not and are deserving of more precise names. In this case, I submit the “Whitworth” column was a dodge by the Ordnance Department. They had a set of 2.75-inch Whitworths on hand. But they also had a lot of other miscellaneous English rifles. Instead of breaking those out across this header, the Whitworth column was the slot for any of those English weapons, regardless of origin (or perhaps even of caliber). Though there are scant leads outside this summary, I think these are English-made rifles of 3.5-inch caliber, based on the ammunition reports that follow. Were these imported by the Federals and then handed off to the 1st Alabama? Possibly. However, I think it more likely these are captured weapons turned against the Confederates… fittingly manned by former slaves. A “bottom rail on top” scenario. Battery B: Reporting 295 shells under the 32-pdr field howitzer column. But that’s not right. See below. Battery D: 165 shot and 179 case for 6-pdr field guns. But also 24 shells under the column for 12-pdr field howitzers. Another “not right” and see below. 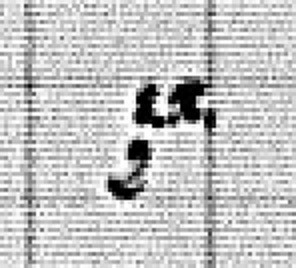 A bit fuzzy, but you can just make out “8-inch” or something along that line. As there were no columns dedicated for the 8-inch howitzer ammunition, the clerks must have stuck this entry here with the annotation. 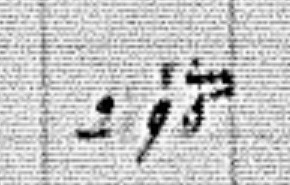 That super-script looks like “6-pdr” to me. So if this is right, Battery D had 24 shells of 6-pdr caliber. Non-standard. But within the bounds of reason. Battery B: 40 case and 40 canister for 8-inch howitzers, but placed under the 32-pdr howitzer columns. Battery D: 123 canister for 6-pdr field guns. Battery D: 36 shot for 3.5-inch “Rebel Trophy”. Battery D: 137 shell and 108 canister of Hotchkiss-type for 3.5-inch “Rebel Trophy”. Battery B: 36 shot, 380 shell, 57 case, and 155 canister for 20-pdr Parrotts. Battery B: 84 Enfield .577-caliber muskets. Battery D: 35 Springfield .58-caliber muskets, 62 Enfield .577-caliber muskets, and one foot artillery sword. Battery B: 350 20-pdr Parrott gun cartridge bags; 53 8-inch siege howitzer cartridge bags (the column is for 12-siege guns… or 8-inch howitzers); and, finally, 6,000 rifled musket cartridges in the .577/.58-caliber range. Battery D: 9,300 rifled musket cartridges, .577- and .58-calibers. Battery B: 650 wood fuses, 486 friction primers, and 60 portfires. I think, given the cannon assigned, we can say the 1st Alabama Siege Artillery was indeed prepared for siege operations. But through the end of December theirs was the somewhat thankless task of simply guarding the railroad depot at Corinth, while the fighting had shifted to places like Chattanooga. But fate would plat the 1st Alabama at the fore of the war later in 1864. While many of those heavy cannon were not at Fort Pillow, most assuredly, those muskets were there. So again we see “numbers” that we can relate to actual events on the battlefield. What could be better? Enjoying a beer as we discuss the Civil War…. the Civil War in Charleston on top of that! Readers well know, this is a favorite focus of my research. We tend to bypass this story, treating Fort Sumter as just the place where the war started. In reality, Fort Sumter was the subject of an ongoing campaign as the Federals attempted to wrestle control of Charleston harbor. This focus on Fort Sumter was, in terms of days, weeks, and months, the longest battle of the war. Oh, and did I say there would be beer? If you plan to attend, please stop by the event page on Facebook and make your mark. That way the staff knows how many folks to expect. This is an open event, with no tickets or such. Just have to be 21 or older, as there are alcoholic beverages served. Did I mention there would be beer? So if you are in the area, save the date and make plans to stop by. We’ll warm up the winter with a talk about the warm(er) waters of the South Carolina Low Country. And did I mention the beer? A trio of upcoming speaking events for “To the Sound of the Guns” as we hit the road for the 2019 season. First, on February 21, I am speaking at “History and Hops”, at Dragon Hops Brewing. More details to follow. This will be a talk about Charleston and Fort Sumter. So, mark the date, bring a friend and enjoy a beer. On April 27, the Andrew Carnegie Free Library hosts a Civil War Symposium. The focus is on how Civil War history is related to the public. And my part will focus on the experience of blogging. I’ll post additional details in a bit. Harry Smeltzer, one of the other speakers, has posted the event brochure. Also featured at the venue is the Thomas Espy Room, GAR Post 153, which is among the best preserved GAR collections in the country. So some good talks and exhibits. If you are in the Pittsburgh area, give it a look. And for those further south, I’ll be speaking to the newly formed Fort Sumter Civil War Round Table on June 10. Likewise, I’ll post more details as we get closer to the date. But in the mean time, let me make a pitch for this group. My good friend Jim Morgan is among those getting this roundtable started. They meet at The Citadel’s Daniel Library Museum Reading Room. Their first speaker, on February 5, is Gordon Rhea. They follow that in March with Frank Johnson, from the Hunley Museum. Then in April, they have Ed Bearss. Not bad for the first three meetings of a new roundtable! If you are in the Charleston area, I encourage you to check them out. Harry also has a flyer up with the details. I hope to announce a few other events for 2019 here in a few weeks, as those are confirmed. So please keep checking back. And I’ll post full details on these events as the dates near. For now, put these on your calendars! We start the fourth quarter of 1863’s summaries not with the US Regulars, which has been the pattern in the past quarters, but with the volunteers from Arkansas. Unionist volunteers that is. Apparently the clerks at the Ordnance Department adopted a pure alphabetical arrangement… sort of that is. Below Arkansas are listings for USCT under the heading for Alabama. Give them a break, as Sesame Street was still over 100 years away. 1st Light Battery: At Fayetteville, Arkansas with six 3-inch Ordnance Rifles. Captain Denton D. Stark remained in command of this battery, then supporting Colonel Marcus LaRue Harrison’s Arkansas Unionists garrisoning Fayetteville. In the previous quarter, we noted this battery was dispatched by section from Springfield to Fayetteville. Elements of the battery participated in the pursuit of Confederate General Joe Shelby’s raid in October. Stark led a section that saw action at Cross Timbers, Missouri, on October 15. But December found all the sections in Fayetteville. In the previous quarter, we noted the presence of a section of mountain howitzers with Harrison’s 1st Arkansas Cavalry. These troops were also at Fayetteville. And I believe the cavalry retained use of the mountain howitzers at that time of the war. But there is no return here. For later reference, the 1st Arkansas Light Battery (African Descent) would organize in June 1864. Then later that battery became Battery H, 2nd US Colored Light Artillery. We shall reserve a spot for them in future summaries. 1st Light Battery: 463 Hotchkiss time fuse shells for 3-inch rifles. 1st Light Battery: 1194 Hotchkiss percussion fuse shell, 942 Hotchkiss case shot, and 237 Hotchkiss canister for 3-inch rifles. 1st Light Battery: 20 Enfield muskets, 28 Colt .44 revolvers, and nineteen horse artillery sabers. 1st Light Battery: 1000 ball, .54 inch caliber. I’m not the small arms expert, but Enfields were .577. So either the Arkansas were making due with the wrong ammunition, or this is a transcription error. 1st Light Battery: 1,800 cartridges for army caliber (.44-inch). 1st Light Battery: 50 yards of slow match. During the Civil War, slow match was a common issue item. In fact, a regulation ammunition chest would hold 1.5 to 2 yards of slow match (in addition to friction primers and 3 to 4 portfires). And, yes, technology had progressed, by the start of the Civil War, so that artillerists didn’t have to stand around with a linstock to ignite the powder. “Didn’t have to” is the operative phrase here. There’s a lot of uses for slow match aside from firing the cannon. But in this case, was there any better option? The 1st Arkansas does not report any friction primers. Fifty yards would have given the gunners eight yards, plus some left over, per gun. The battery reported a total of 2,836 rounds on hand. That translates, with fifty rounds per chest, into 57 ammunition chests (rounding up for a partial). If we factor 1.5 yards of slow match per chest, we should have 85 yards. But only fifty yards are reported. Still not enough per regulation. But perhaps sufficient until the shipment of friction primers arrived from Missouri? My point isn’t that “authentic” Arkansas light battery reenactors should be lighting off their cannon with slow match. Rather that we should not insist all the batteries in the war had equal supplies. In this case, we might conclude the Arkansas failed to count the friction primers on hand… or that they were using slow match in lieu of friction primers. Either way, it adds to the other facts that define the historical situation – bad record keeping, or poor logistical support. Both were in play in Arkansas at the end of 1863. Twenty years and still going strong! Appomattox Court House National Historical Park and Longwood University host their annual Civil War on Saturday, February 9 this year. This program has a reputation for delivering quality speakers. And is open to the public… as in free. Location is the Jarman Auditorium, on the Longwood University campus. Parking is available on Wheeler Lot, at corner of High Street and Griffin Boulevard. 8:30 AM – Doors Open. Introduction by Dr. David Coles. 12:30 PM – Lunch break. I plan on attending, as this is my usual “break out from the winter encampment” event. Hope to see you there. But if not I do plan on tweeting some of the highlights. The next round of summary statements to discuss come from the fourth quarter of 1863. As with each of these sets, I think we must consider the context of the reporting period as it gives more meaning to the raw numbers. Such was very evident over the previous quarters, with the second quarter of 1863 allowing us to review batteries in action… or just out of action, or about to go into action… at places like Gettysburg and Vicksburg. Likewise, the third quarter of that year was a snapshot in time reflecting the action at Chickamauga, with losses directly reflected in the numbers, or lack of reports. And beyond that battle, we see a response to that Federal defeat, in form of so many batteries converging on Chattanooga. And that sets us up for the fourth quarter, with battles around Chattanooga. But looking further afield, we have the reporting period, from October through December; the “as of” date – December 31, 1863; and also the time in which the report was completed, which was most often into the early months of 1864. Frequent readers will recall the story of the Army of the Potomac, as well as the other Federal armies, as they wintered that year. Reequipping, reinforcing, and reorganizing. Yes, there were some important operations conducted during that penultimate winter of the war – the Meridian Campaign, Red River Campaign, Olustee, and Morton’s Ford to name a few – but for the most prat that winter is a story of the three “Rs” of winter encampments. And that set up the great campaigns which followed into 1864. Such context brings importance to the numbers in the summary sheets. Numbers? Yes, numbers arrayed across the lines allocated for each battery (or section) and under the column headings. And those column headings changed at the start of the fourth quarter. I have not found any documentation as to why the Ordnance Department changed their paperwork. I can only say there was a change to the format. I can speculate that there were some shifts with the underlying purpose of the quarterly returns. Pre-war the summaries were a type roll-up based on the battery returns. And those returns were in place to provide data for assessments of equipment (particularly cannon) durability. By the end of 1863, some of that was overtaken by events. The Army now had more of everything and durability was less a requirement. 6-pdr gun, Models 1840-41, 3.67-inch bore. 12-pdr gun, light, Model 1857, 4.62-inch bore. 12-pdr gun, heavy, Model 1840, 4.62-inch bore. 12-pdr mountain howitzer, 4.62-inch bore. 12-pdr field howitzer, 4.62-inch bore. 24-pdr field howitzer, 5.82-inch bore. 32-pdr field howitzer, 6.4-inch bore. 3-inch wrought iron, Model 1861 (Ordnance Rifle). 10-pdr Parrott, Model 1861, 2.9-inch bore. 20-pdr Parrott, Model 1861-62, 3.67-inch bore. 6-pdr “Wiard” gun, 2.6-inch bore. 12-pdr “Wiard” gun, 3.67-inch bore. 12-pdr “James” or heavy 12-pdr, 4.62-inch bore. 12-pdr siege gun, Model 1839-40, 4.62-inch bore. 18-pdr siege gun, Model 1839-40, 5.3-inch bore. 24-pdr siege gun, Model 1819-39, 5.82-inch bore. 8-inch siege howitzer, Model 1841-61. 4.5-inch siege gun, Model 1861. 24-pdr Coehorn, bronze, 5.82-inch bore. Before we get too excited here, the summaries did not include “installation” property. So we won’t see a weapons that were assigned to a particular fort. Only those assigned directly to a battery. That’s also why we don’t see the seacoast weapons listed here. Note the field carriages are categorized by size, and listed as “with limber, complete.” Caissons, forges and wagons round out the field carriage sub-category. Following that, to the right, are siege carriages and mortar beds. The Class III listings start with breech sights, then move to baskets and buckets. Alphabetized for easy reference. While we likely won’t discuss all those Class III implements in any detail, we shall list the projectiles, unprepared and prepared, when looking at the battery-level summaries. This portion of the header was all for smoothbore rounds ranging from the 6-pdr through to the 32-pdr field howitzer, and including the siege guns. The prepared rounds were all strapped and fixed. But the remainder of these columns, from about mid-way across, are for rifled projectiles – Dyers (in 3-inch caliber) and Hotchkiss. For the latter, we see shot and time fuse shell in calibers from 2.6-inch (Wiard) to 4.5-inch (for the big siege guns). Note separate columns for 2.9-inch and 3-inch Parrotts. The Parrot types range through shot, shell, case, and canister in calibers including 10-pdrs (both 2.9-inch and 3-inch separately), 20-pdr, and 30-pdr Parrotts; then also including 24-pdr rifled siege guns. To the right of the Parrotts are Schenkl columns. Shot and shell listed with calibers for 10-pdr Parrott, 3-inch rifles, 3.67-inch Wiard (or 6-pdr rifled), 3.80-inch James, 4.5-inch siege rifles, 12-pdr rifled siege guns, and even the 18-pdr rifled siege guns. But after those seven columns is a long list of “miscellaneous patents.” Oh goodie! But instead of grouping by inventor or source, these are arranged by type – shot, shell, case, and canister. Those carried by column are Absterdam, Boekel, McIntyre, and Stafford & Ward. And there are columns for “enemy’s patent” indicating possession (if not proof of actual use) of Confederate ordnance. Lastly, over on the far right of this page, are two columns for “War rockets, Hales’s” in both 2-inch and 3-inch sizes. No more of the generic “carbine” or “musket” columns. Instead, the clerks had to tally Ballard’s, Burnside’s, Maynard’s, Sharps’, and Spencer’s carbines. Likewise, Enfield, Sharps, Spencer, and Springfield muskets. Pistols are carried by caliber and manufacturer… well at least Colt and Remington. The list of all possible pistol manufacturers deserves its own blog. The rest of the left side of page six handles appendages, for both rifles and pistols, and then equipment for the horses. Continuing with Class VIII are listings for fuses, bagged powder, and miscellaneous items. The latter includes fireballs for the mortars, matches, friction primers, percussion caps, portfires, and torches. Class IX on the right of that header is for artillery machines, meaning block, chocks, and gun gins. Page 7, right half: Class X – parts of any articles related to carriages and artillery harnesses. Page 8, left half: Class X continued, parts of artillery harnesses, draught harnesses, ladle heads, rammer heads, and sponge heads. Page 8, right half: More Class X, sponge heads and sponges. Then the start of the section on general materials including cloth, rope, and thread. Page 9, left half: General materials – ironmongery and leather. Heating materials (including candles). Laboratory supplies. Paints and oils. Page 9, right half: Veterinary instruments and horse medicines. Page 10, right half: Tools and utensils, “A” through “H”. Page 10, left half: Tools and utensils, “K” through “W”. As you can see, the change to the summary form requires some retooling of my templates to show the entries. But the basic system is still in play – snips for each grouping within the state entries, covering the guns, projectiles, and small arms. But I believe we can add in the cartridges and powder without much additional effort. Look for the start of the December 1863 summaries next week. And keep in mind the timing here – right on the anniversary of when many of these returns were submitted to Washington.